The full program is available in png format here and in pdf format here. 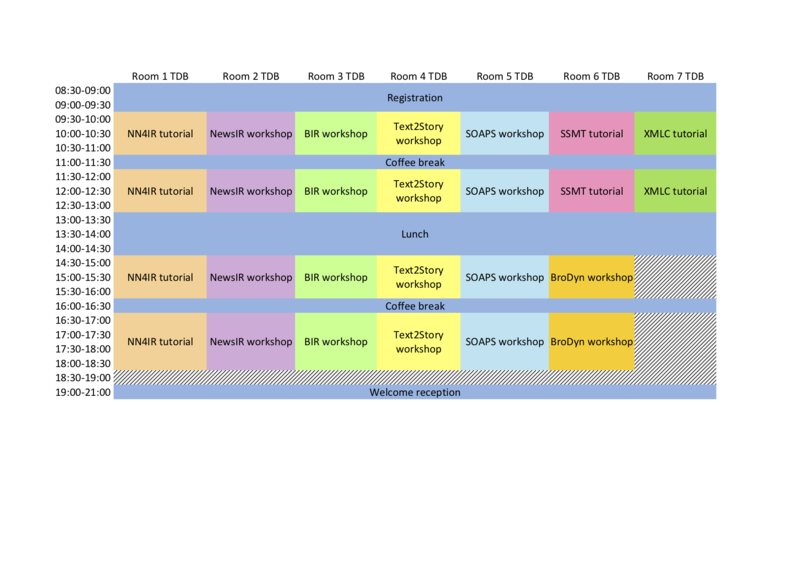 The program of tutorials and workshops on Monday 26 is available here. The detailed program of the industry day is available here. Daniel Cohen and W Bruce Croft.